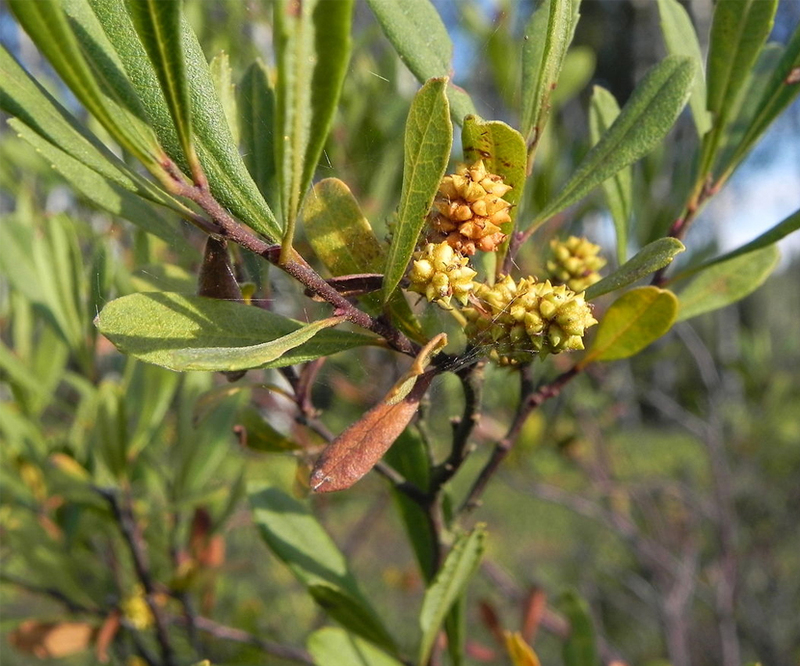 This shrub is branching and partially evergreen, and varies in height from two to a dozen feet. The flowers appear in May, before the leaves are fully expanded. The fruits are small and globular, resembling berries, which are at first green, but become nearly white. They consist of a hard stone, inclosing a two-lobed and two-seeded kernel. On the outside of the stone are gunpowder-like grains, and over these is a crust of dry greenish-white wax.